Anthony Bourdain tries "Tejo," a traditional Colombian sport that involves tossing stones at packets of gunpowder. I'd thought my unconditional love for Colombia was well established there. I'd visited for speaking engagements. I'd made a giddily enthusiastic episode of a previous series in Medellin and Cartagena. I'd waxed poetically and often about how well I've always been treated, how thrilling it is to see how far the country has come from its bad old days. I'm a fan of its people, its music, its food and its disarmingly injured pride. My old friend and Top Chef colleague Tom Colicchio tweeted right back: "Too soon" -- connecting the appearance of machine guns with the then recent Newtown massacre. I tweeted back that "this is what it looks like in FARC country." Of course I meant "territory recently controlled by the FARC," the unpleasant Marxist guerilla group who'd been terrorizing Colombia for decades with kidnappings, assassinations and worse. They operate hand in glove with the cartels — essentially shaking them down and providing them with protection — in return for funds. And, indeed, not too long before I arrived at the dirt airstrip, merchants in the small town are said to have accepted payment for basic goods and services with coca paste. The phrase "FARC country" was not, however, interpreted as intended, as meaning an area, a neighborhood, a territory once under FARC control. Not in Colombia. "I do NOT live in FARC country" and "How come you glorify those bastards?" were common responses. The twittersphere blew up with pissed off, deeply offended Colombians reading second-hand reports of what I was believed to have said. Many misidentified the young soldiers in the photo as being guerillas. Our fixers and drivers were very, very unhappy — in the uncomfortable position of being closely associated with someone (me) who was (for the next couple of days, anyway) widely thought to be a FARC sympathizer. Things bled into the print media, and it was a tough couple of days. Colombia is NOT, for the record, "a FARC country." Far from it. As I should well have known, the struggle between the FARC, the cartels and various right-wing militias has been deeply felt by nearly every Colombian family. Opinions — even perceived opinions — can have consequences. Just about everybody you talk to — even in a present day Colombia that is much, much safer and secure — has lost someone to violence from one side or the other. Colombians — more than anyone — have paid a terrible price in lives for the world's seemingly bottomless appetite for cocaine, and for the greed of a relative few. And if you ever wondered "how come they don't get a handle on things down there," all you need to do is look at the place. The country is huge. It is about 70% sparsely populated (and gorgeous) jungle, mountains and coastline opening up onto both the Caribbean and the Pacific. It is ideologically divided. And it has neighbor problems. Venezuela next door has been all too happy to provide safe haven and even covert military assistance to the FARC. Panama's Darien Gap offers some of the world's most impenetrable jungles. Colombia has been very successful in recent years in its war on cartel- and FARC-related violence. But the ludicrous futility of any fully successful "war on drugs" is apparent with a single look out of a plane window. Have I said yet how beautiful the place is? It's incredible. It's fun. And, yes, it's safe. Every day, more so. 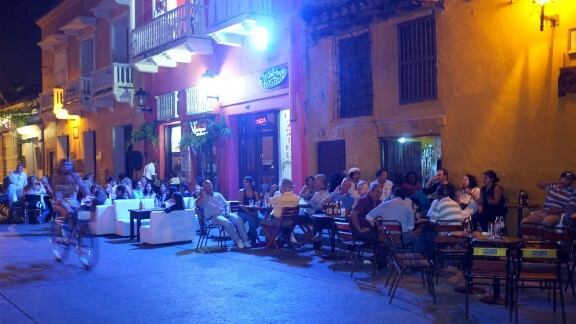 Cartagena has some of the most beautiful colonial architecture you're likely to find anywhere in Latin America. A great bar scene. Amazing food and architecture. 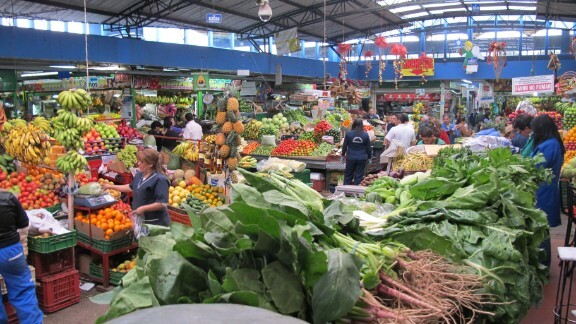 Medellin is a modern, sophisticated, enormously enjoyable place to spend time. It's as far from its image as a murder capital as you can imagine. And people are heartbreakingly welcoming and happy to see visitors who have come to their beautiful country for something other than to talk about narcos and violence. Cali is a party town to rival Miami. The beaches along the coasts are as unspoiled as your wildest fantasies. And yet many people still don't go. I would urge you to put aside the stereotypes. If you want to find bad people in Colombia, you can surely find them, as you could in New York or Los Angeles. But nowhere have my crew and I been treated better or with more kindness and generosity. I'd bring my family on vacation there in a heartbeat. And hope to soon. As I said before: Colombians are proud. Let them show you what they are proud of. 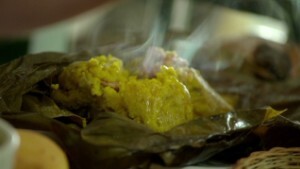 That said, this week's Colombia episode of 'Parts Unknown' marks another great moment in Bourdainian stupidity. Faithful viewers of my previous program on that other, less good network, might remember my previous misadventure on an ATV. You'd think I would have learned from that experience, a long barrel roll down a sand dune wrapped around a few hundred pounds of metal and machinery. I was very, very lucky to have emerged from that experience with limbs and skull intact. That maybe I'd be smart enough to realize that maybe off road vehicles were just not for me. In Colombia, I saddled up once again, and as you'll see managed to fly off the seat, drive my head straight into the ground (helmet-less, of course) and (my producers insist) somehow succeed in running over my own head. Though I was "out" for a brief microsecond there, I remember bounding to my feet, unwilling to be embarrassed by the glaringly obvious: I should have worn the helmet they offered. I should have driven more carefully. I probably shouldn't have been -- given my record -- driving the damn thing at all. Come to Colombia for the coffee, tropical climate and charming people; stay for the arepas, fresh fruit, abundant seafood, breakfast soups and powerful liquor. There was a time when travelers were afraid to visit Colombia. Not anymore. Tour the country in photos.